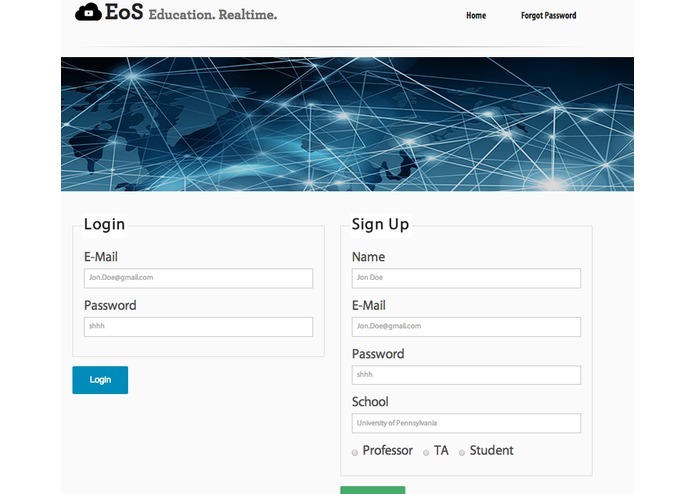 EoS is a educational video platform that allows professors and TAs to post videos of lectures, office hours, review sessions, and allows students to view course material and easily collaborate through an integrated comment system. 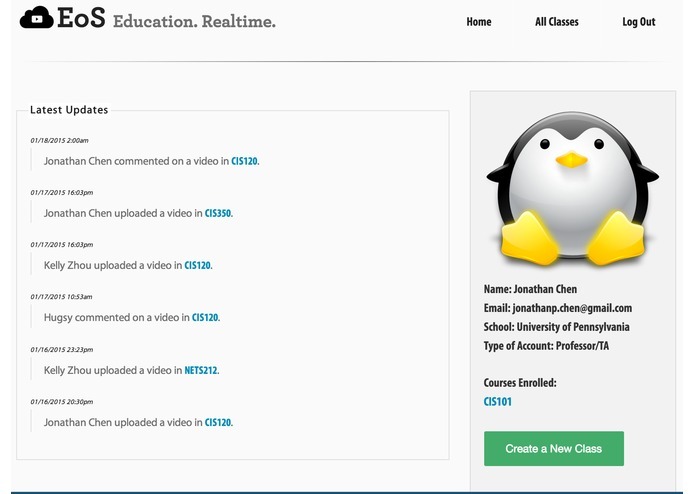 Using Ziggeo's open source API, EoS is a hybrid of a Piazza-like discussion environment and a realtime video platform. 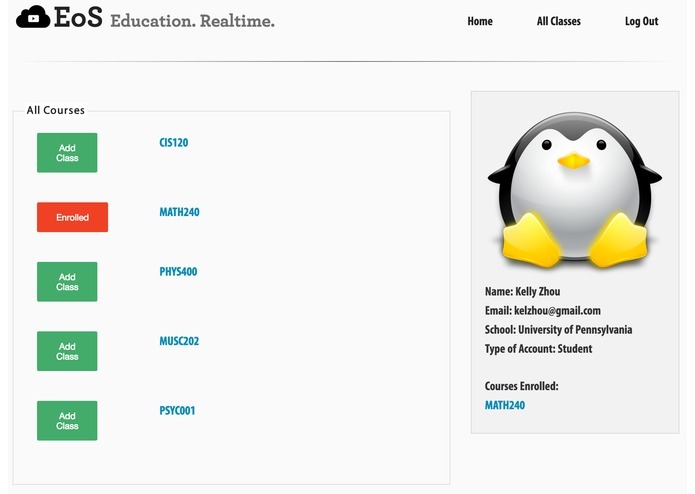 Professors can easily manage their content, and students can easily navigate between classes they are enrolled in. With the advent of online education such as Coursera and edX, we believe that video engagement is the next step towards making education globally accessible.